Historic Downtown Hudson is located along the beautiful St. Croix River, founded in 1840. Originally called Willow River, but in 1852, Alfred D. Gray, Hudson’s first mayor, petitioned to change the name of the city to “Hudson”, because the bluffs along the St. Croix River reminded him of the Hudson River in his native New York. The coming of the railroad in 1871 gave Hudson direct rail transportation to the east and marked the end of the age of riverboat transport on the St. Croix River. Hudson’s 1913 toll bridge became a landmark on the St. Croix, although the bridge closed in 1951, its raised roadway still stretches partway over the river, giving residents and visitors a place to stroll on warm summer evenings. While Hudson, WI has continued to grow and develop, it has maintained the historic charm and panoramic beauty its residents have come to love. Centered on Historic 3rd Street, the regal Victorian homes feature mature trees, large yards, sidewalks, and a close proximity to the St. Croix River. 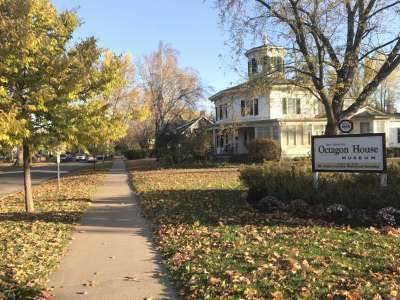 The neighborhood is listed on the National Register of Historic Places and includes the Octagon House museum, built in 1855. Today, the St. Croix River is the only thing separating Hudson from the Twin Cities, which have spread right up to the opposite banks.